I make mirrors from salvage items and create interesting new designs using colour shape and materials. We have a shop in Bradford on Avon and a workshop . 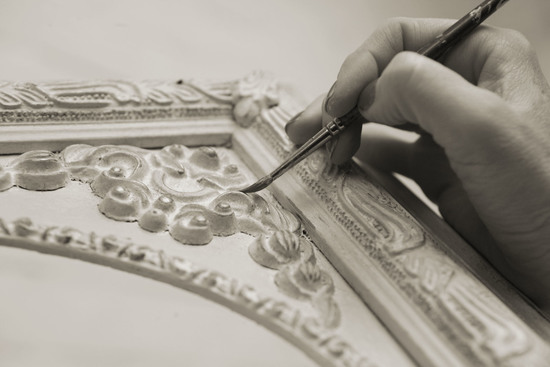 I have created a distinctive and popular collection of mirrors, all of which are made by hand and each frame is solid wood, featuring a plaster relief detail. 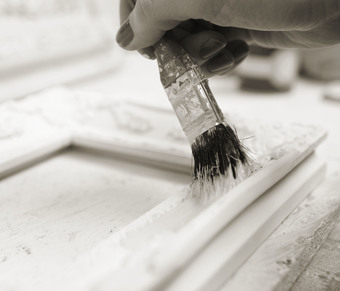 I have then hand painted and distressed the frames using the finest quality English paints and waxes. Each mirror is designed specifically to enhance light and space in any room and the colour palette has been selected from Farrow and Ball's beautiful subtle range, to complement and enhance your choice of interior decoration. 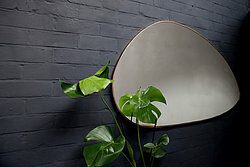 I have been making mirrors for over ten years and have applied my skills and expertise to create this diverse collection. 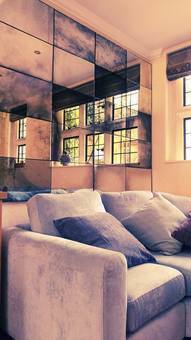 We also make metal rimmed mirrors and top quality panels and tiles in Antique glass. I like to think we can create anything so if you have an idea or specific request please contact us so that we can quote you and talk through your design ideas.